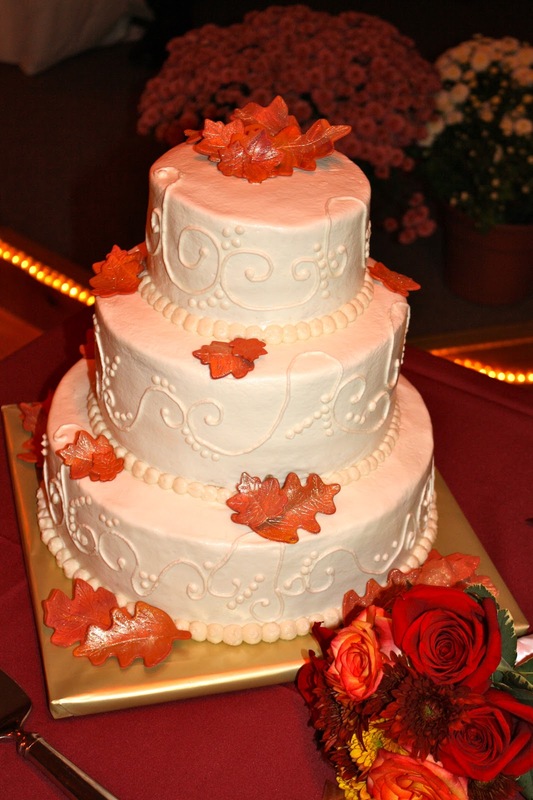 Kake: My 1st Wedding Cake! This fall wedding cake was for my cousin Lindsey and her husband Brandon. 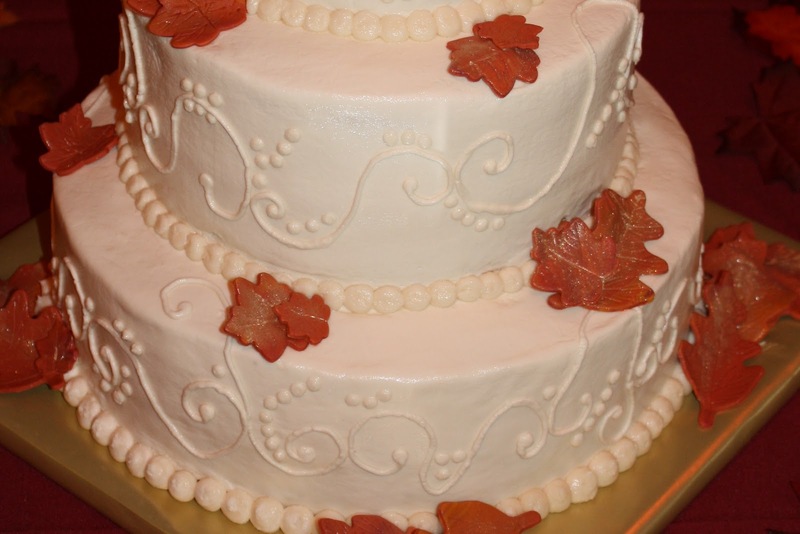 They wanted to incorporate the fall theme of their wedding into the cake, so we went with an ivory cake decorated with gumpaste leaves. 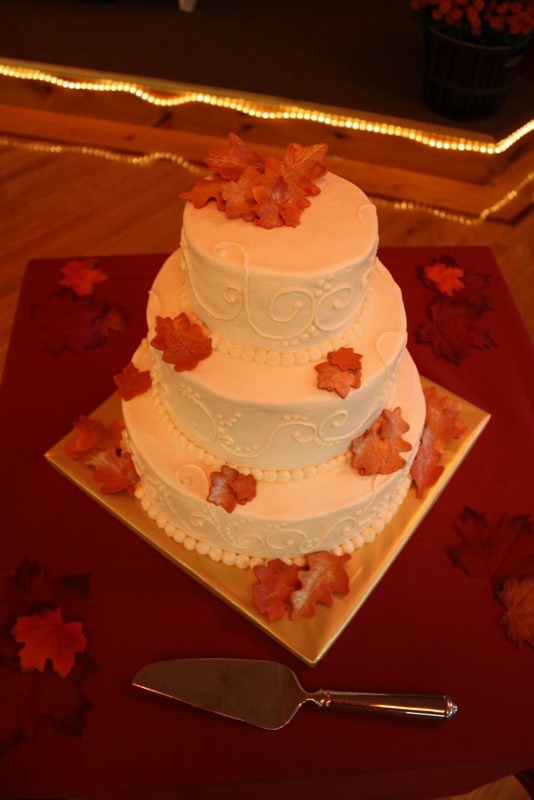 The top 2 tiers were yellow almond cake with buttercream filling and the bottom tier was chocolate with buttercream filling. This cake had to travel over an hour to the reception site, which made me quite nervous but worked out fine! Congrats Lindsey and Brandon, love you guys!